St. Mary Magdalen Parish in Media will host a Flame of Love retreat on Saturday, Feb. 2 from 8:30 a.m. to 2:30 p.m. The Marian devotion originated in 20th-century Hungary, where a laywoman named Elizabeth Kindelmann claimed to experience visions of, and receive messages from, Jesus and Mary. Although the visions themselves have not yet received church approval, Kindelmann’s spiritual diary has received an imprimatur from Hungary’s Cardinal Péter Erdö. The English translation of the diary has received an imprimatur from Archbishop Charles Chaput, and according to some sources, Pope Francis has extended an apostolic blessing to the movement, which is currently considered a private devotion. 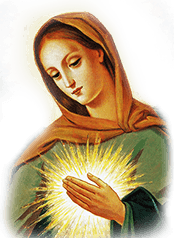 The Flame of Love emphasizes Mary’s immaculate heart, and encourages prayer, fasting and personal sacrifices as a means of inviting God’s grace into the world. The Feb. 2 retreat also marks Candlemas, the day of Mary’s ritual purification after Jesus’ birth and the day on which the newborn Christ was presented at the Temple. Participants are asked to bring their own lunches. St. Mary Magdalen Parish is located at 2400 N. Providence Road in Media. For more information, visit flameoflove.us or call 610-622-4257.